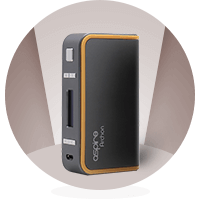 The Aspire Archon 150W Box Mod: Tons of Power and Functionality! The Aspire Archon 150W Box Mod is one of the latest mods to hit the market with a brand new 150W power output. It hosts some of the latest technology internally and externally you’ll be sure to get extreme amounts of functionality and features out of this mod. With a visually appealing design and satisfying to hold structure, you’ll love this new mod. The Aspire Archon Box Mod has an outstanding structure and design. You can tell they have two things in mind when creating this mod; make it strong, and make it good looking. I can confidentially say they’ve achieved both. The three different color combination gives you a unique choice and feel for your device. The Aspire Archon Mod comes in at around 88mm height, 50 mm length and 23mm width which makes this mod extremely slim for a mod of this caliber. Each corner features a curved structure ensuring this mod has no sharp edges. Child Lock Feature – The mod features child lock ability, something that is not commonly found on mods like this. It’s important to have child protection put in place with these larger mods, and they can be extremely dangerous if used incorrectly, child lock features will give you that peace of mind when leaving it around at home. Spring Loaded 510 Connector – You have the ability to connect any 510 compatible tanks to this mod, always ensure that the selected atomizer in the tank is compatible with the power output of this mod. The spring loaded connector will help you easily swap tanks when required. It’s important that your desired tank supports the power output that this mod will reach, if it doesn’t, simply turn down the mod using the control on the face of the device. When deciding on the tank, you would like to use with this mod make sure you fully understand the capabilities of the atomizer, failure to do so could simply burn it. A common issue with this mod is an overhang from the tank, due to the small size of the mod you’ll be dealing with the slight overhang from the base of the tank. In my opinion, although not visually appealing I feel a slight overhang can actually help with access to the tank and mod. Powered by dual 18650 Lithium-ion batteries; there’s no surprise that this mod packs a huge punch. Hosting the ability to reach up to 150W power output the only trouble you’ll have with this device is finding a sub ohm tank that lets you reach that amount of power. When you pair this mod up with a tank of the same caliber, you’ll be extremely satisfied with the power output and vapor production from the tank. It’s an extremely high powered device, with huge amounts of performance and standard. You can expect a normal full charge to last you at least 3 – 4 full tanks of liquid (3ML), which is more than enough vaping usage. You can tell this extremely long battery life comes with the dual batteries, taking a step up from other mods. You can expect the device to take a good couple hours to charge fully. The only true competitor that I see for the Aspire Archon Box Mod is the Sigelei T150 Box Mod. To be perfectly honest, it’s a lot more expensive and simply offers fewer features. The only reason I can see the T150 Mod being more expensive is that of the huge screen that you get on it; but is that needed? In my opinion, the Archon Box Mod has the lowest price and much more functionality and features, and it shouldn’t be worried about any competition. It’s important to ensure the mod is kept in a great condition as possible, this will greatly increase the lifespan of your device. Once you’ve started using the device ensure you keep all connections clean, this can include wiping out any dried up juice or liquids in the 510 connector. Maintenance can also include ensuring the battery doesn’t stay charging for longer than it should, when you leave a battery charging once it’s fully charged it will start reducing the overall battery life on the device. Always ensure you watch the device or keep a close eye on it when charging. Any additional information on the device can be found in the user manual provided. You should always check the user manual to get the best understanding of the mod before using it. Coming into the market at only $44.95 this 150W mod is extremely cheap! The design is appealing, and the structure is strong and secure. The mod hosts an amazing amount of features and functionality, providing some of the best performing capabilities on the market. Only thing you need to do for amazing vaping experience is purchase this Box mod. The Aspire Archon Box Mod is an extremely functional and feature-filled device. With such a small price tag, there’s no surprise that it’s pretty much sold out everywhere! If you’re looking for a 150W box mod with the capabilities to perform at lower or higher power, then this is the one for you. The Aspire Speeder 200W box mod is powered by two removable 18650 batteries and comes paired with the Athos tank and two coil options. Read our review here. 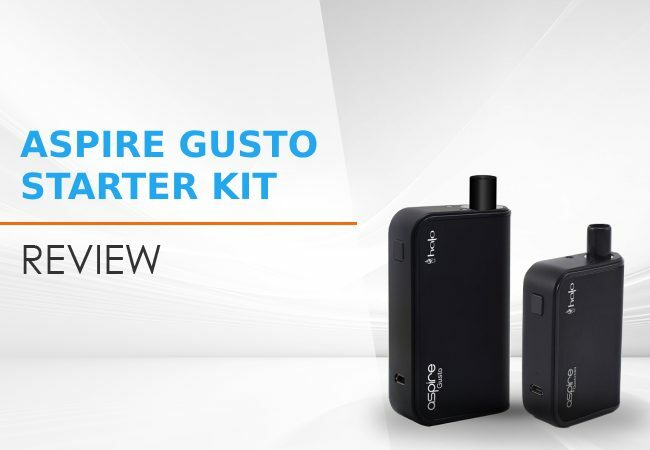 The Aspire Gusto Starter Kit is an AIO that packs a 1,100mAh battery and is so small you won't even know it’s there.